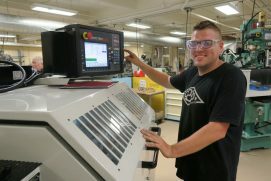 New Century Job Shop offers a unique way to outsource manufactured components, while also creating growth opportunities for the region’s manufacturing industry. Get started today! Contact Job Shop Manager Rich Payo at 412-745-1013 or payo@ncsquared.com to learn more.